Hands up who wants a beautiful home with a spectacular view that doubles as a more than sensible investment! 30B Sainsbury Road is a freehold property that enlists some pretty incredible features to bring you something quite special. This home and income property consists of three bedrooms, two bathrooms, and living and dining areas that open up to a north facing outdoor entertainment space, with a sloping garden on the upper level. Downstairs and separately accessible you will find a consented self-contained apartment. You can choose if you use this for your extended family, a permanent rental or short term holiday stays. Did we mention that this is a near "Passive" home? Hailing from Europe, passive housing is a phenomenon that has begun to gain real traction in New Zealand particularly in the harsh alpine environment of Central Otago. 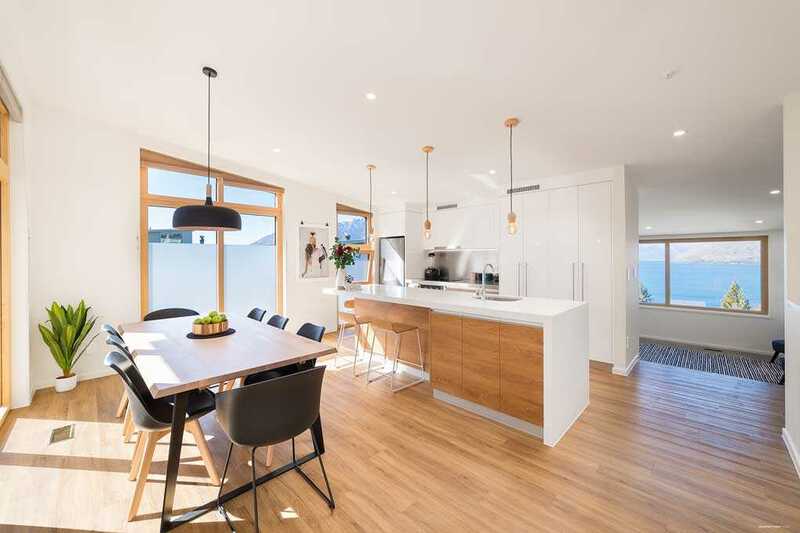 The eco-features include triple glazing and exceptional heating and thermal properties; this will lead to a much warmer, dryer, healthier house to live in and it will operate at a significantly lower cost than a standard Queenstown home. home will be sold on or before auction. Call Adam and Kirsty for more information and to arrange a viewing. This home is something exceptionally special. Please take a tour through the home with the video tab above. For Sale by Auction: Midday, Thursday 18 October 2018, Harcourts Offices, 39 Shotover Street, Queenstown (unless sold prior).